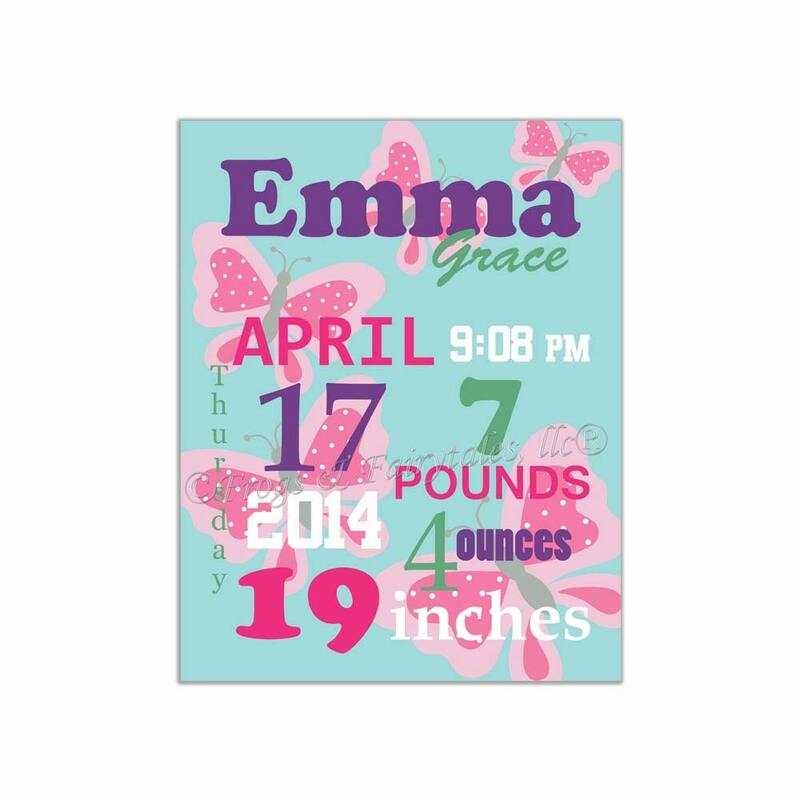 This butterfly canvas birth announcement is a great personalized touch for your baby girl's room! Keepsake birth announcements also make great gifts! It can be done in any color scheme you'd like. This design can be done in any color scheme you'd like. When placing your order, in the note to seller section, please tell me the color scheme you'd like along with the info to appear on the birth announcement. I will email you a proof to approve before printing once I have it completed.